The history of India dates back to the earliest times of human civilization. Unlike the great dynasties of ancient Egypt and China, the civilization of Ancient India is still somewhat of a mystery. India is a country in South Asia whose name comes from the Indus River. The Indian sub-continent stretches back over 250,000 years and it is, therefore, one of the oldest inhabited regions on the planet. We do know about Ancient India that it is fascinating. Kids studying world history will be spellbound by accounts of the two major cities, Harappa and Mohenjo-Daro. These huge urban trading hubs were carefully planned and seem uncannily modern, with their advanced plumbing systems (they even had toilets! ), communal granaries, and graceful public buildings. Archaeological excavations have discovered artifacts used by early humans, including stone tools, which suggest an extremely early date for human habitation and technology in the area. While the civilizations of Mesopotamia and Egypt have long been recognized for their celebrated contributions to civilization, India has often been overlooked, especially in the West, though her history and culture is just as rich. Sushruta, one of the earliest surgeons of the recorded history (600 B.C.) is believed to be the first individual to describe plastic surgery. Sushruta who lived nearly 150 years before Hippocrates vividly described the basic principles of plastic surgery in his famous ancient treatise ‘Sushruta Samhita’ in 600 B.C. ‘Sushruta Samhita‘( Sushruta’s compendium) which is one of the oldest treatise dealing with surgery in the world indicates that he was probably the first surgeon to perform plastic surgical operations. This paper presents a historical window into various contributions of Sushruta to plastic surgery and allied fields which were described in ‘Sushruta Samhita’ more than 2500 years ago. The ancient Greeks used to wear animal skins and were not even aware of cotton. But Indians started cultivating cotton during the 5th – 4th millennium BCE in the Indus Valley Civilization. The word spread to the Mediterranean and beyond. The earliest evidence of cotton used in the Indian subcontinent has been found at the site of Mehrgarh and Rakhigarhi where cotton threads have been found preserved in copper beads; these finds have been dated to Neolithic (between 6000 and 5000 BC). Cotton cultivation in the region is dated to the Indus Valley Civilization, which covered parts of modern eastern Pakistan and northwestern India between 3300 and 1300 BC. The Indus cotton industry was well-developed and some methods used in cotton spinning and fabrication continued to be used until the industrialization of India. Between 2000 and 1000 BC cotton became widespread across much of India. For example, it has been found at the site of Hallus in Karnataka dating from around 1000 BC. Indians are believed to have invented the first shampoo with traditional herbs. The word ‘shampoo’ comes from the ancient Sanskrit word ‘champu’, which means, ‘head-massage.’ It was initially used as a head massage oil for the Nawabs of Bengal during the Mughal Empire around 1762. It evolved into shampoo over the years. The earliest version of chess is said to have originated in India around the 6th century BC. Chess developed out of Chaturanga, which is an ancient strategy board game developed during the Gupta Empire in India around the 6th century AD. The game is then said to have spread westwards to Persia and subsequently to Europe. The popular game of cards originated from India. The popular game of cards originated in ancient India and was known as Krida-patram (which literally means “painted rags for playing”). It was one of the favorite pastimes of Indians in ancient times. This game was patronized especially by the royalty and nobility. In medieval India, playing cards was known as Ganjifa cards which were played in practically all royal courts. This game is recorded to have been played in Rajputana, Kashyapa Meru (Kashmir), Utkala (Orissa) the Deccan and even in Nepal. The Mughals also patronized this game, but the Mughal card-sets differed from those of the ancient Indian royal courts. Also Read : The Baby Impact- 10 Ways They Change Your Life ! 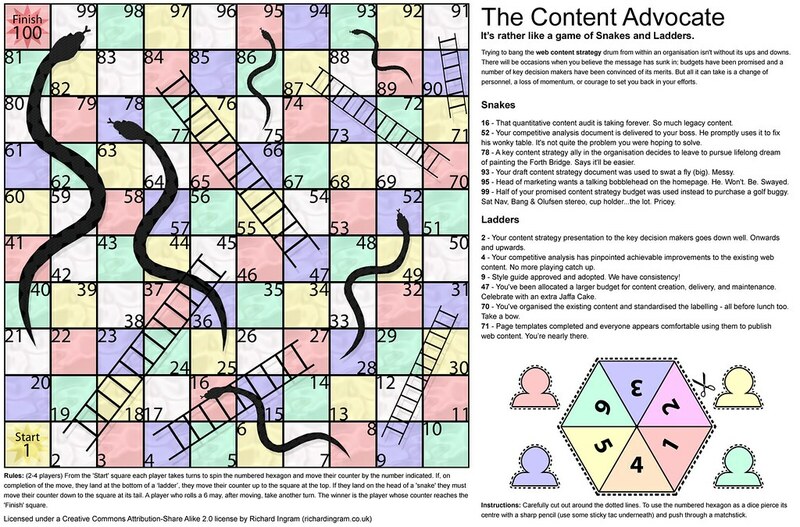 Snakes and Ladders is an ancient Indian board game regarded today as a worldwide classic. Snakes and Ladders originated in India as part of a family of dice board games that included Gyan chauper and pachisi (present-day Ludo and Parcheesi). The game was popular in ancient India by the name Moksha Patam. The game, Snakes & Ladders, was invented in India as a game of morals. Later it spread to England and eventually introduced in the USA by game pioneer Milton Bradley in 1943. Buttons and button-like objects used as ornaments or seals rather than fasteners have been discovered in the Indus Valley Civilization during its Kot Yaman phase (c. 2800–2600 BCE) as well as Bronze Age sites in China (c. 2000–1500 BCE), and Ancient Rome. Buttons made from seashell were used in the Indus Valley Civilization for ornamental purposes by 2000 BCE. Some buttons were carved into geometric shapes and had holes pierced into them so that they could be attached to clothing with thread. Ian McNeil (1990) holds that: “The button, in fact, was originally used more as an ornament than as a fastening, the earliest known being found at Mohenjo-Daro in the Indus Valley. It is made of a curved shell and about 5000 years old. 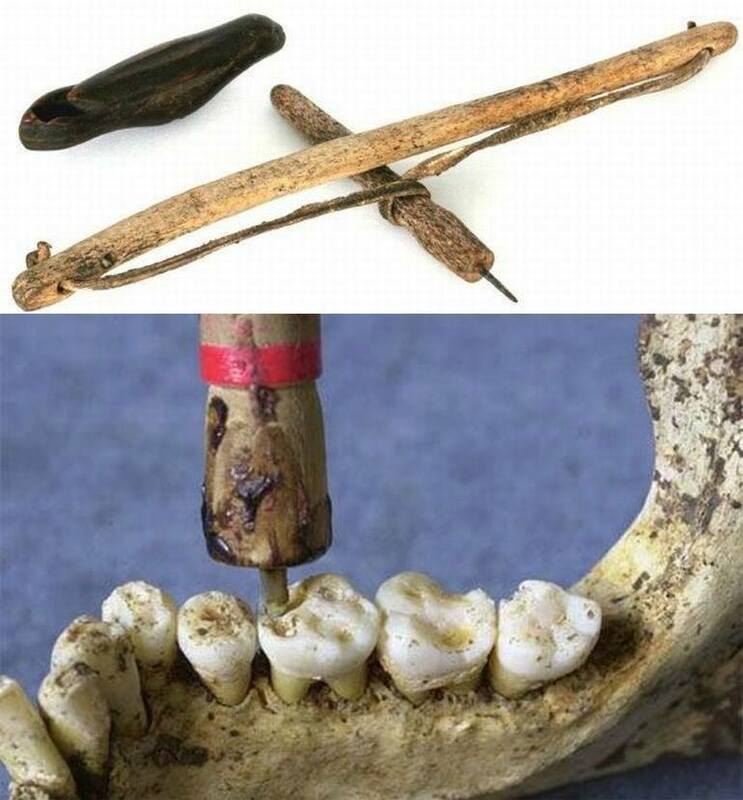 In 2001, archaeologists studying the remains of two men from Mehrgarh, Pakistan, discovered that the people of the Indus Valley Civilisation, from the early Harappan periods, had knowledge of proto-dentistry. Later, in April 2006, it was announced in the scientific journal ‘Nature’ that the oldest (and first early Neolithic) evidence for the drilling of human teeth in vivo (i.e., in a living person) was found in Mehrgarh. Eleven drilled molar crowns from nine adults were discovered in a Neolithic graveyard in Mehrgarh that dates from 7,500–9,000 years ago. According to the authors, their discoveries point to a tradition of proto-dentistry in the early farming cultures of that region. The earliest form of cataract surgery, now known as ‘couching’, was first found in ancient India and then introduced to other countries by the Indian physician Sushruta, who described it in his work the Compendium of Sushruta or Sushruta Samhita. The Uttaratantra section of the Compendium, chapter 17, verses 55–69, describes an operation in which a curved needle was used to push the opaque phlegmatic matter (kapha in Sanskrit) in the eye out of the way of vision. The phlegm was then blown out of the nose. The eye would later be soaked with warm clarified butter and then bandaged. The Indian physician (6th century BCE) had the knowledge of performing cataract surgery. It spread to China from India. Greek scientists would visit India to get operations done and also to learn the nitty-gritty.